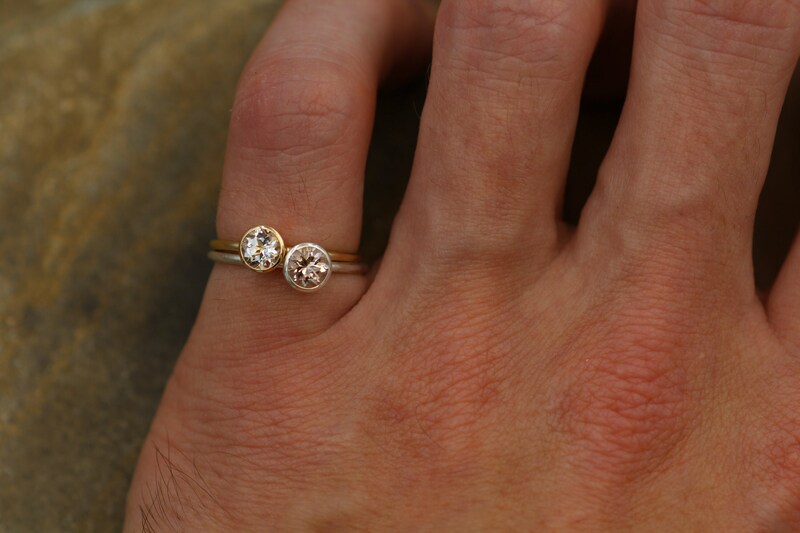 • The setting is 6 mm in diameter and it comes up 5 mm from the band. 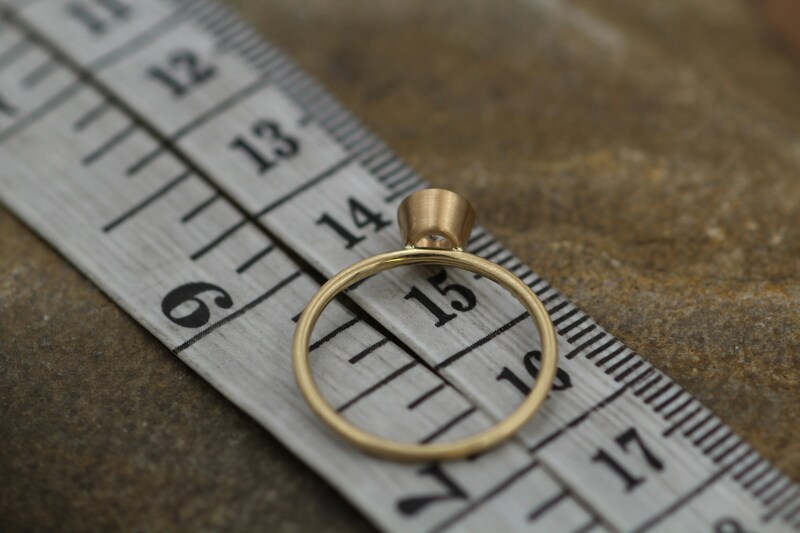 The band is approx 1.4 mm in thickness. 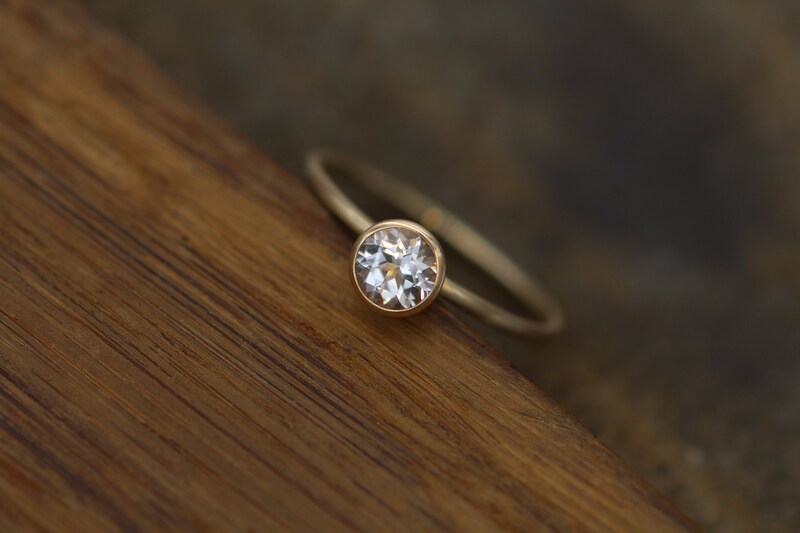 I use silver or gold tubing that I cut and drill to make the gem setting. 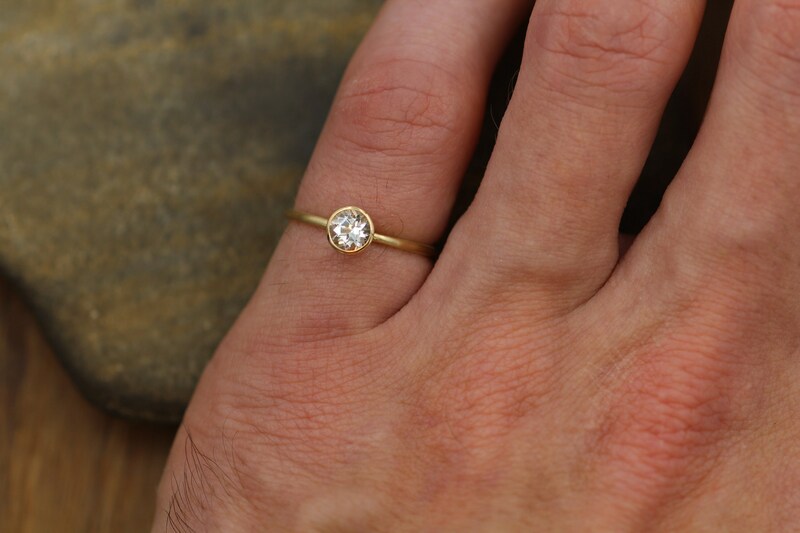 The ring band is made out of a piece of measured round or twist wire. 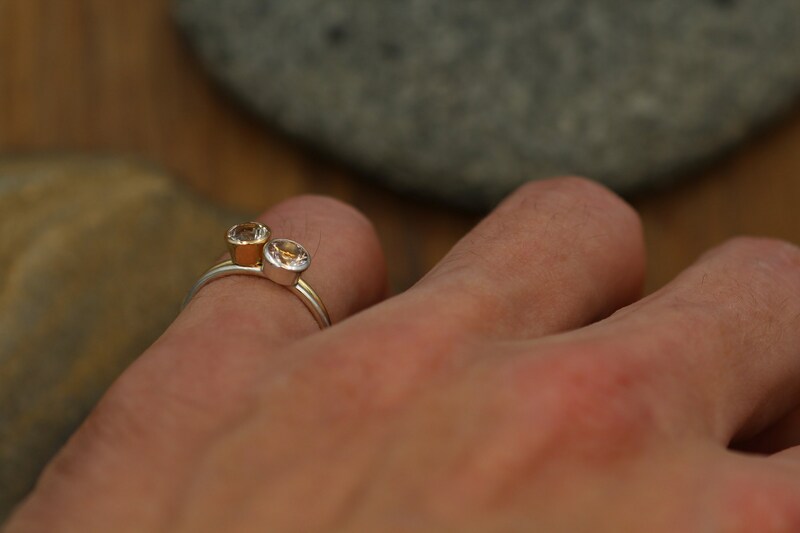 A hammered band is simply round wire that I hand hammer. 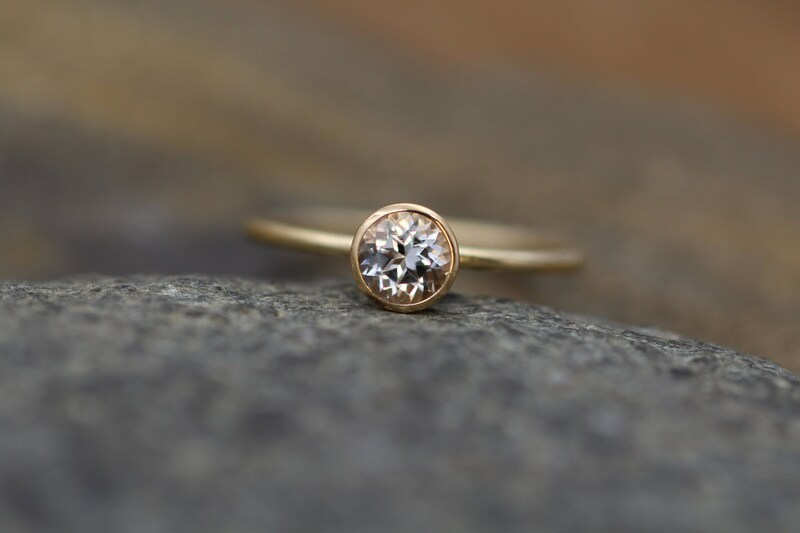 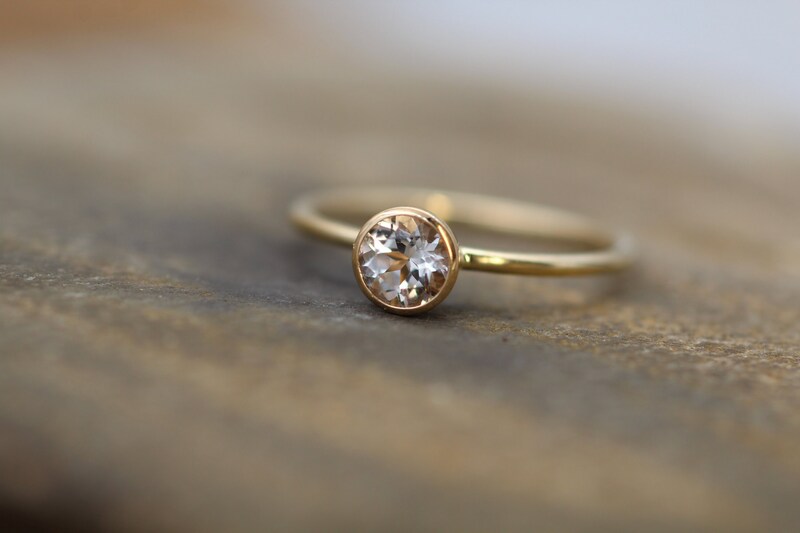 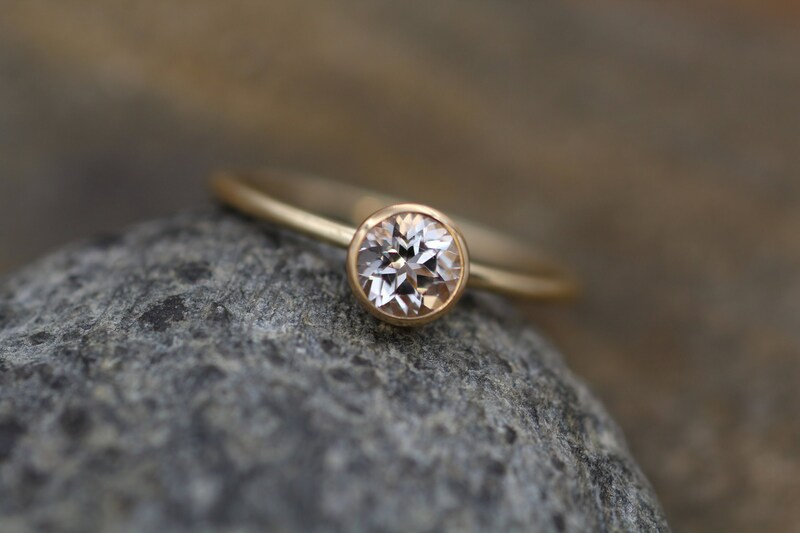 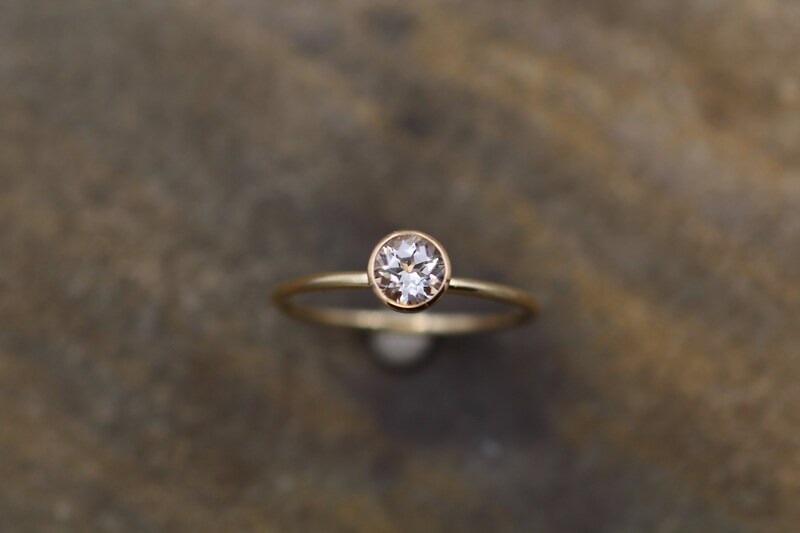 The setting is soldered to the band, and the gem is set. 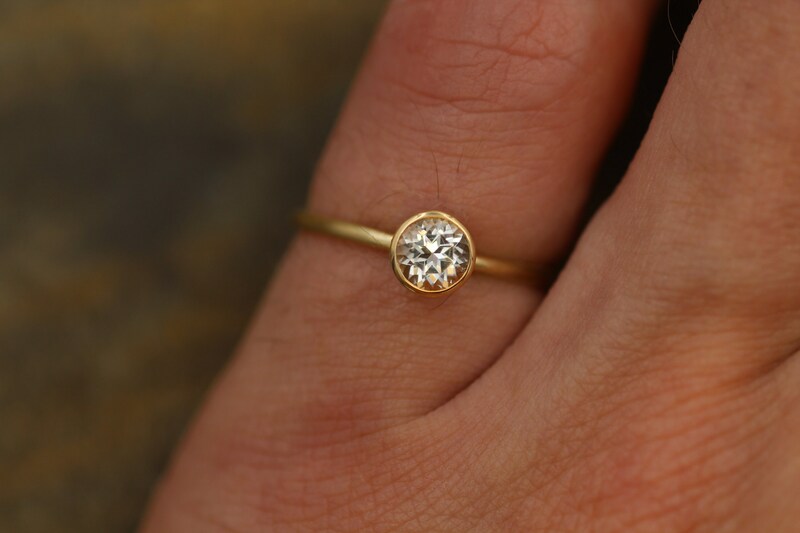 The ring is finally polished until the desired finish has been achieved.